Online Auction Only! Bidding begins Saturday, April 20th & ends Thursday, April 25th at 1:00PM. 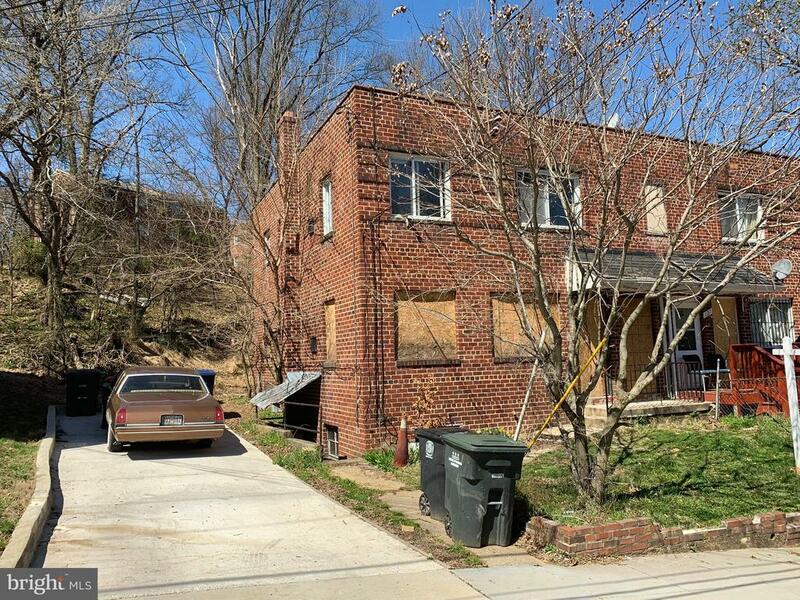 Semi-Detached Duplex in the Bellevue Neighborhood of SW Washington, DC. Semi detached duplex containing three levels in need of full renovation. The property is configured as two 2-bedroom, 1 full bath units. There is a lower level with side access from outside. THE PROPERTY WILL BE SOLD SUBJECT TO THE QUITCLAIM DEED ADDENDUM. A COPY IS AVAILABLE IN THE DOCUMENTS SECTION. IT WILL NEED TO BE SIGNED WITH THE PURCHASE AGREEMENT AND OTHER ASSORTED ADDENDA.